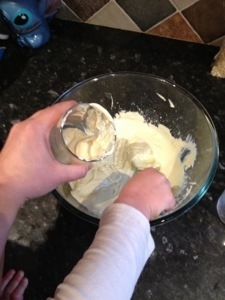 As its my mums birthday soon, we got to work making her some body cream. 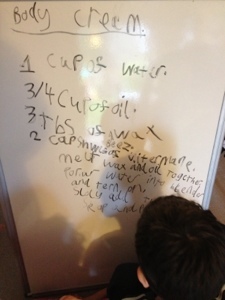 I explained to Izlles what we were going to do and he wrote it out on the whiteboard. I got the recipe for the lotion here. These are the materials we used. Izlles did more of this activity than his sisters as it can get hot. We first measured out the oil and then the beeswax into a bowl. We then melted this in the microwave. Once melted we measured out the water. 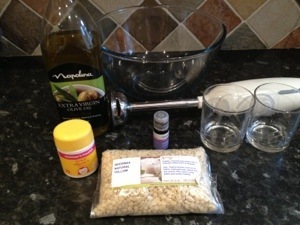 Now according to the recipe you are meant to add the water slowly while blending the oil. 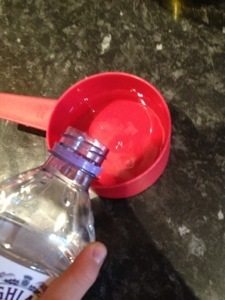 But Izlles thought it would be better to add all the water at once while I was getting the hand blender!!! So I quickly started blending. I hander the blender over to Izlles so I could put in the lavender oil and the vitamin E (which was squeezed from vitamin E capsules). I was pleased to see the lotion was starting to form and pouring all the water in at once hadn’t caused a major problem. 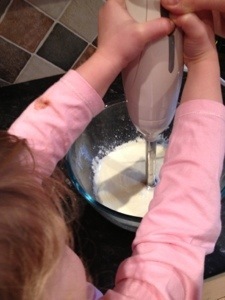 As soon as the girls heard the blender they instantly came into the kitchen to help. So we all had a turn blending until all the water had been combined. 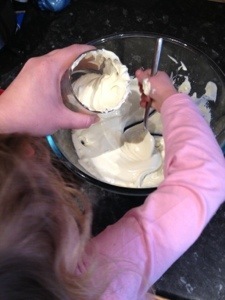 Once we had finished blending we spooned the cream into the jars (which were small Nutella jars). 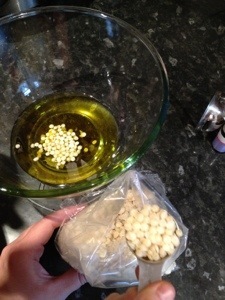 During this process I found out that adding all the water at once made the lotion slightly clumpy. This mixture was enough to fill 2 jars. I placed the lids on and once cooled placed in the fridge as the only preserving agent is the vitamin E.
I thing my mum will love this gift as it was homemade, and from the heart. 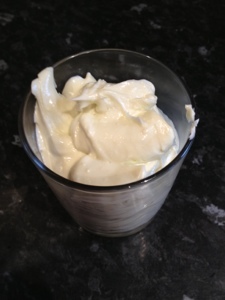 While making it I gave it a try and it feels very creamy and thick. It had already helped my dry skin. I am also planing on making some more of this as thank you gifts but using camomile tea instead of the water and lavender oil. 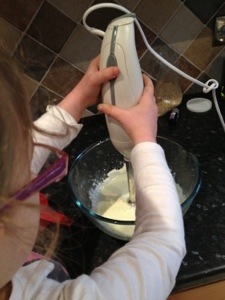 This entry was posted in cooking, maths, writing skills. Bookmark the permalink. Easter egg pre handwriting practice. What to do with the children?